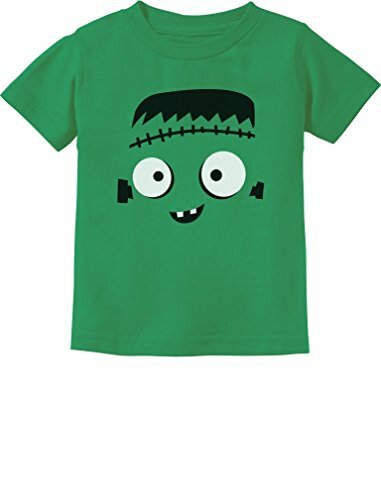 Toddler / Infant 100% cotton t-shirts are a staple when it comes to fashion. 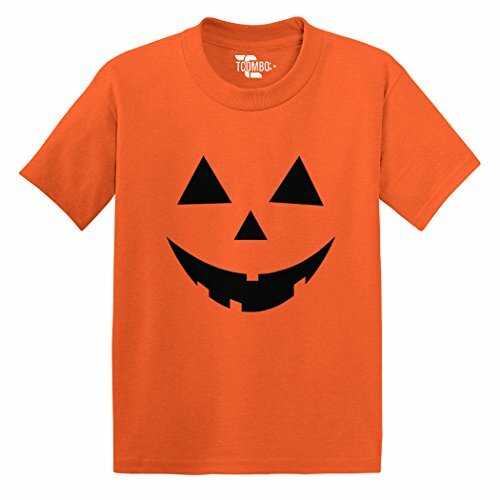 Know that your kids are comfortable while wearing these soft pre-shrunk tees. 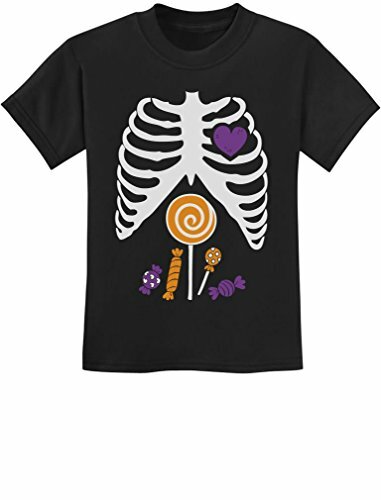 Toddler sizes range from 2T - 5T. 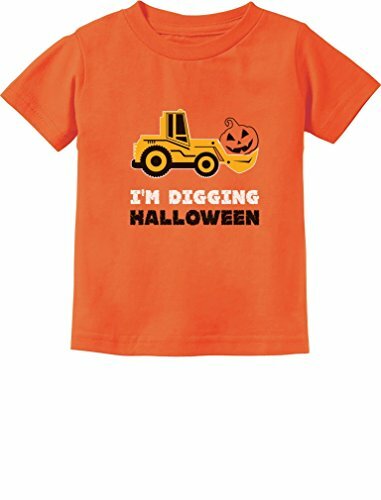 Infant tees range from 6 months - 24 months. Perfect for the little girl in your life that loves witches! This outfit is made in Egypt with high quality Egyptian fabrics. This 2 piece outfit includes an open back short sleeved t shirt and a matching pair of leggings. 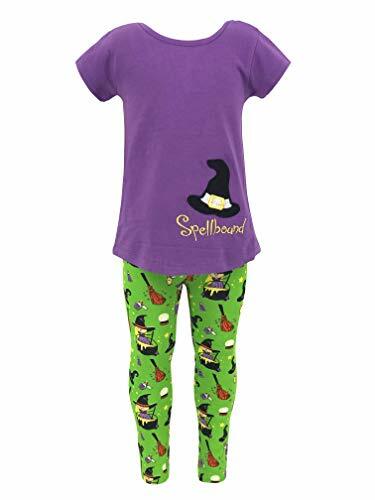 The purple top has an open back with cross stitching and features an adorable witch hat embroidery that says, "Spellbound". The accompanying leggings feature a green witch themed print complete with witches, cauldrons, potions, crystal balls, and witch brooms! 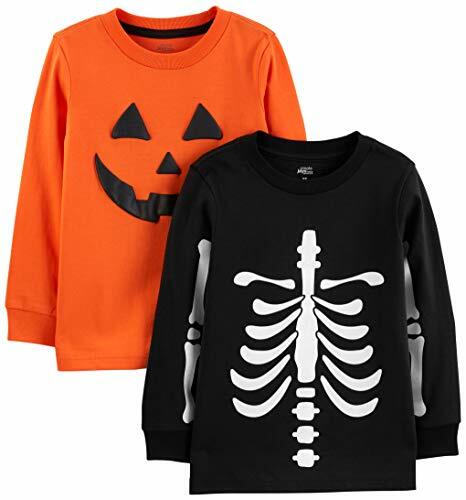 Spooky, cute, festive and perfect for this Halloween! 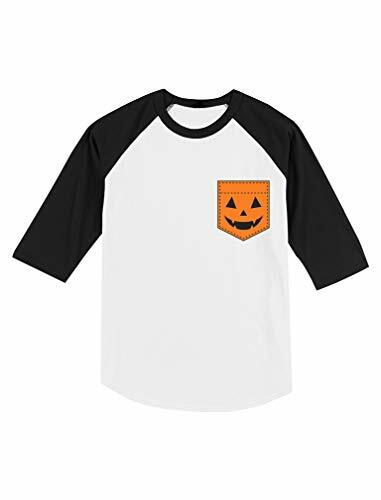 Jack O' Lantern Pocket print Smiling Pumpkin face funny easy Costume for Halloween. 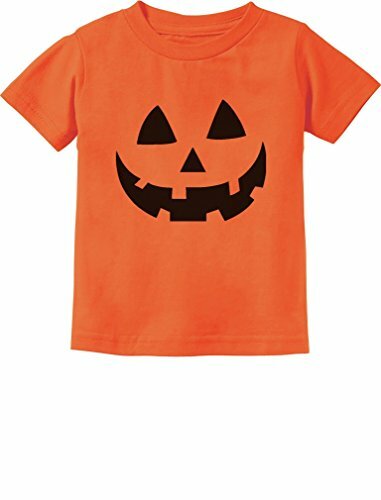 Cool 100% cotton 3/4 toddler kids shirt. Specially designed with raglan sleeves and a shirt tail hem to give a sporty look with exceptional comfort. The best gift ideas for kids birthdays, special occasions, holidays, baby showers & big brother, big sisters presents.